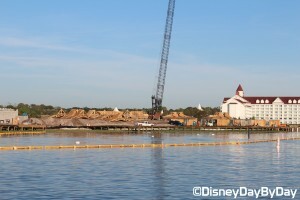 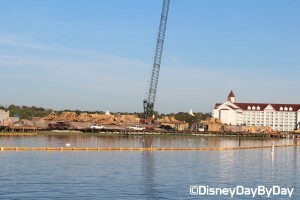 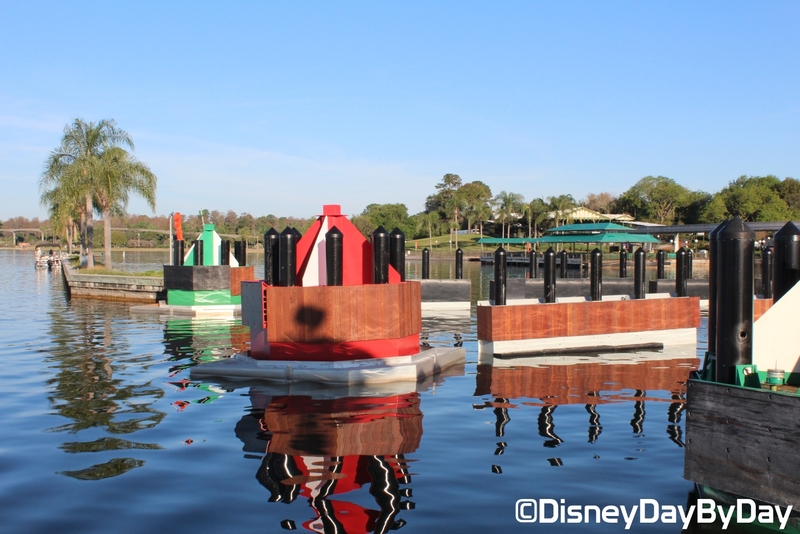 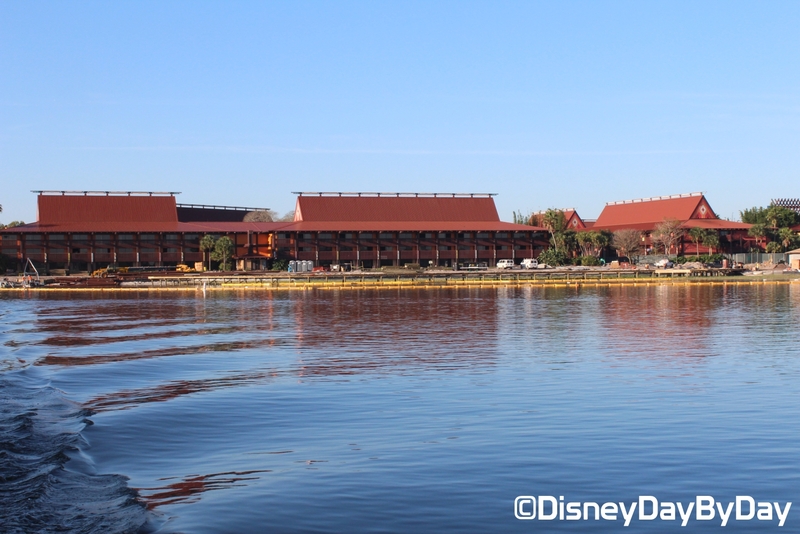 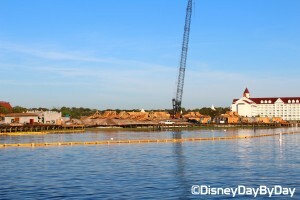 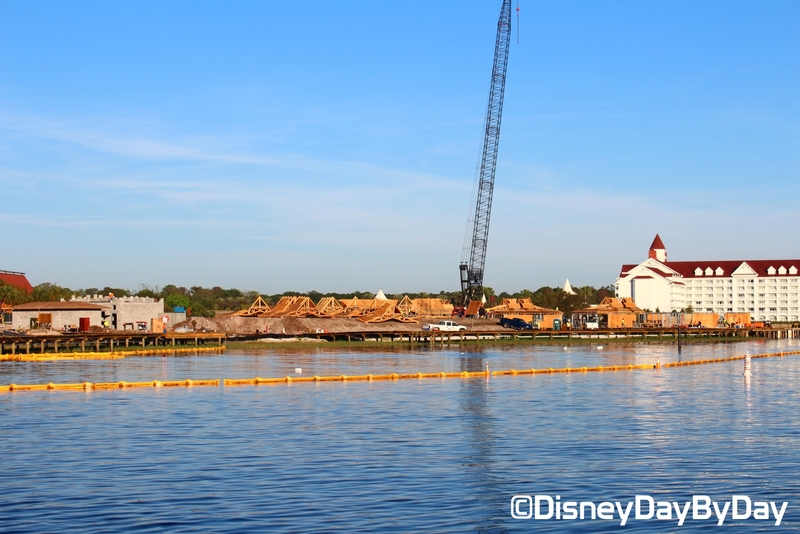 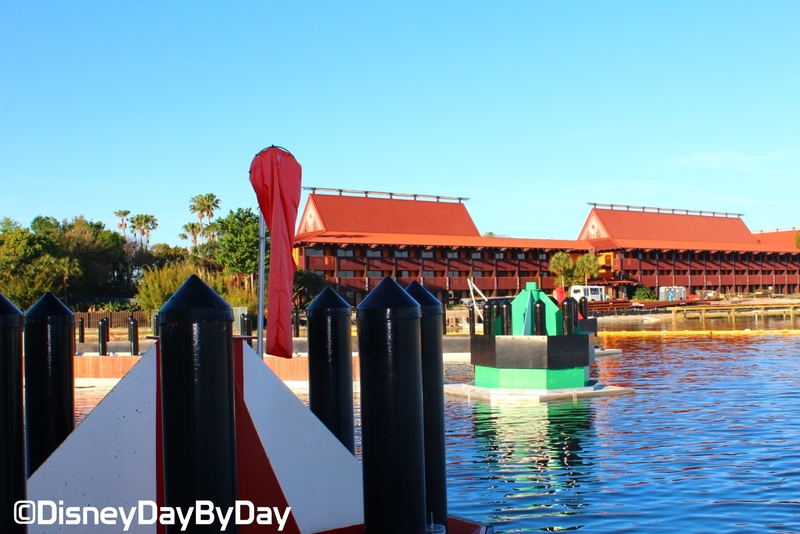 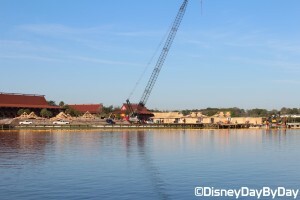 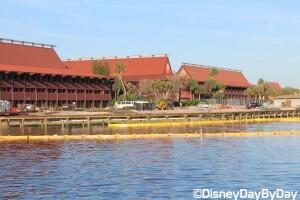 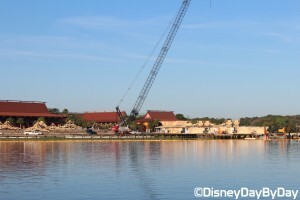 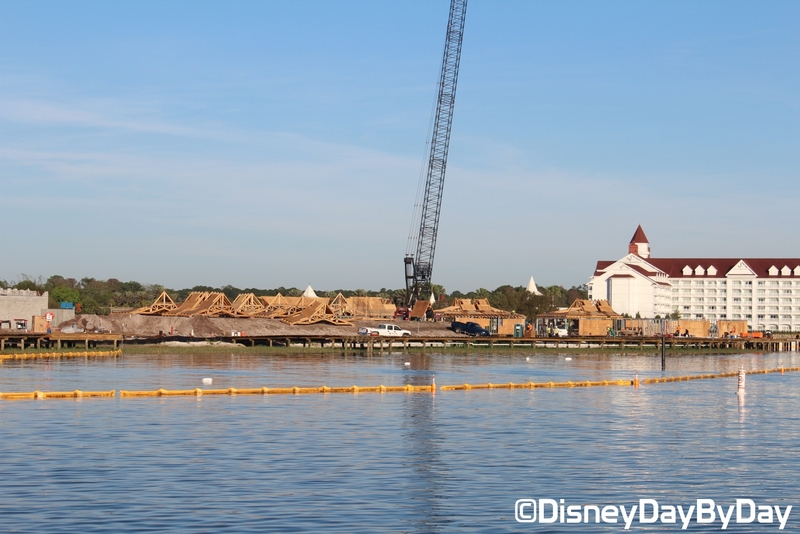 The Disney Vacation Club (DVC) construction continues at the Polynesian Resort and the new Ferry Docks look to be complete at both the Ticket and Transportation Center (TTC) and the Magic Kingdom. 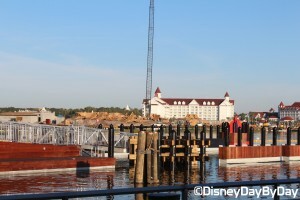 The new Ferry Docks will allow for 2 Ferry’s to be docked at the same time increasing overall capacity. 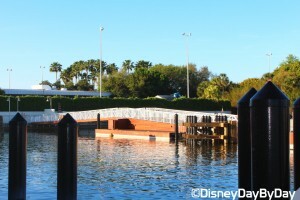 This will definitely help when the Monorail is down as has happened more often lately. On our last visit we didn’t have time to visit the Poly but I grabbed a few shots from the Admiral Joe Fowler. 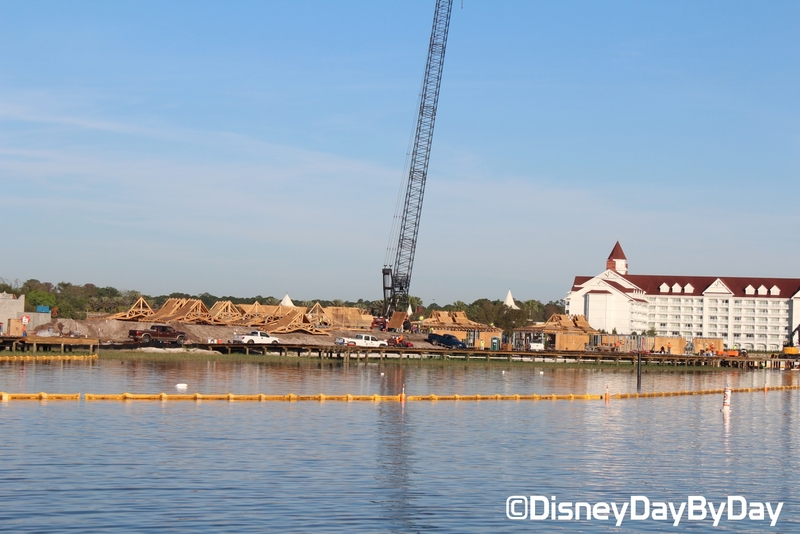 We could still see the volcano so nothing has changed there, but we are hearing that this will go under construction from July 2014 to March 2015. 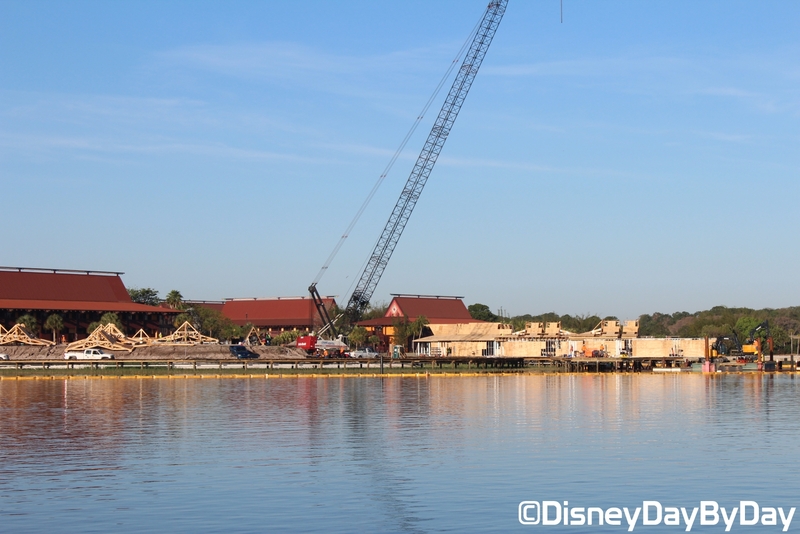 You can see how large the bungalows are now and that they will be blocking the castle view for anyone staying in the first floor of what used to be theme park view rooms. 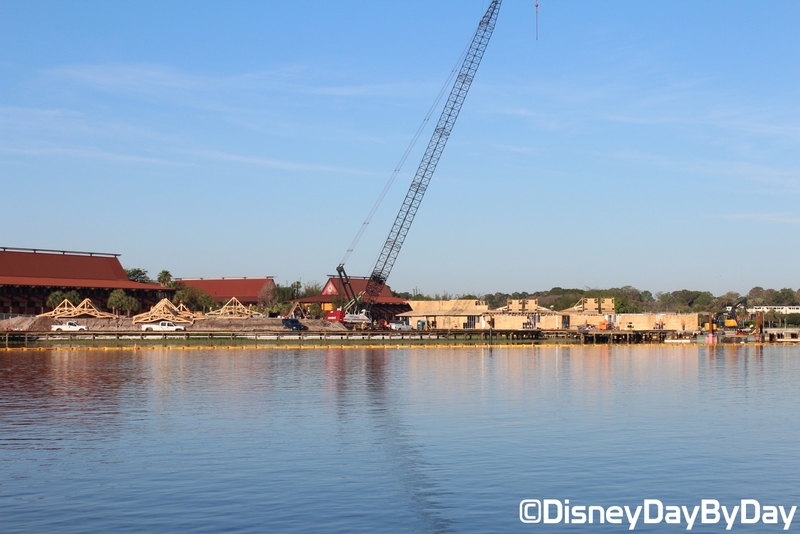 Those in the second floor should still be able to see the castle, but the bungalows will now be in the line of sight for sure making the 3rd floor now the best views. 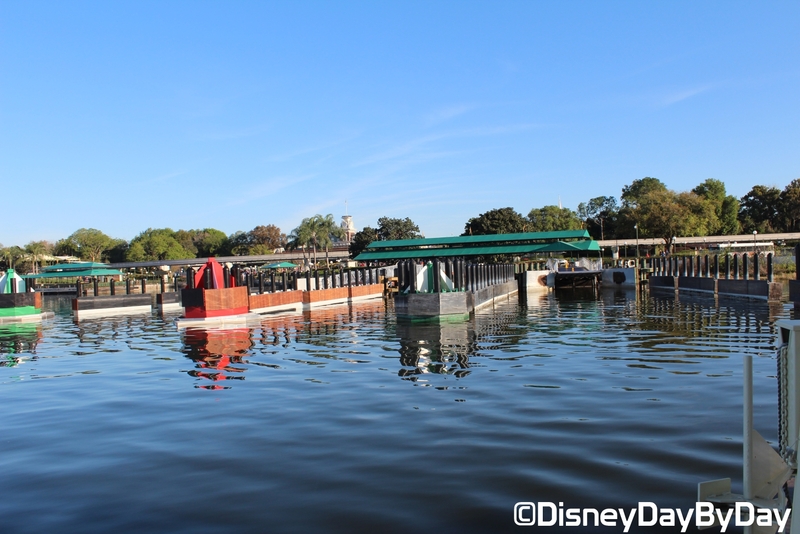 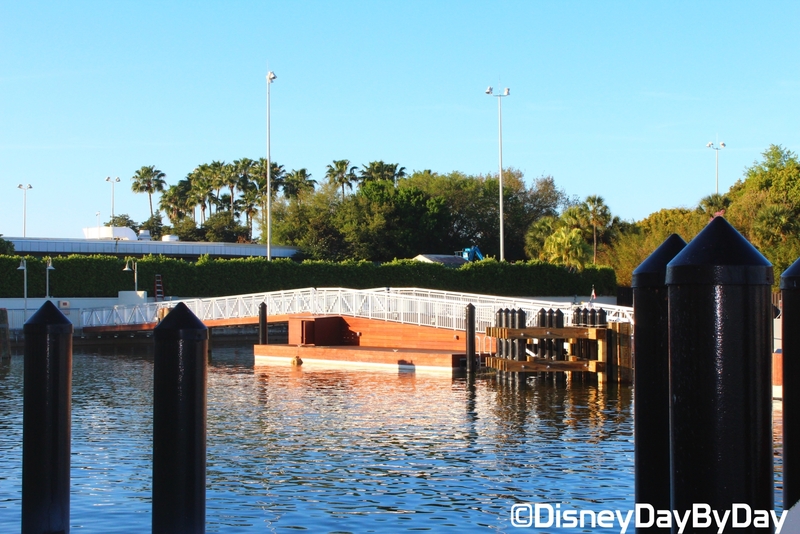 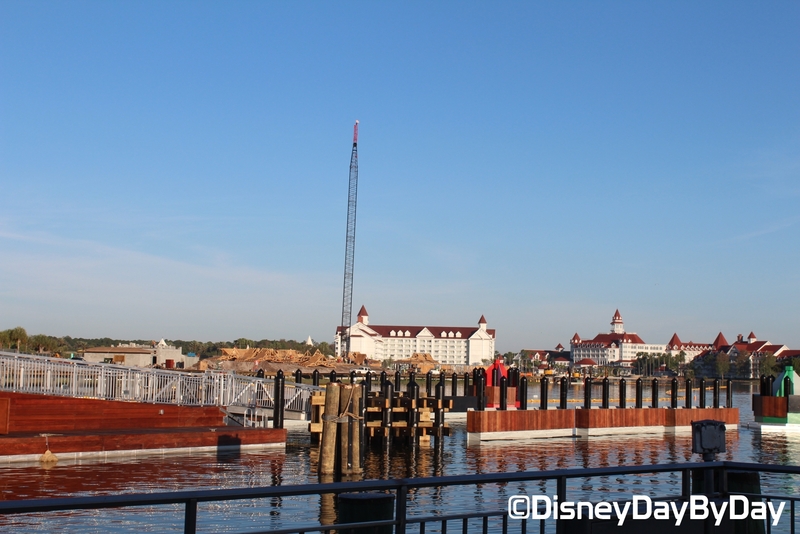 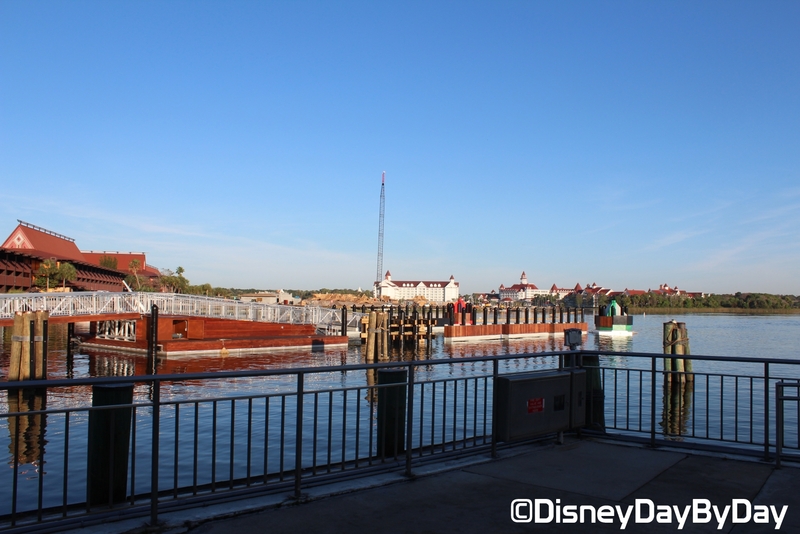 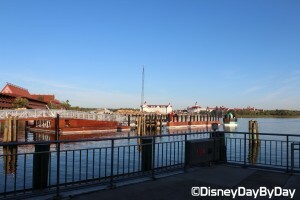 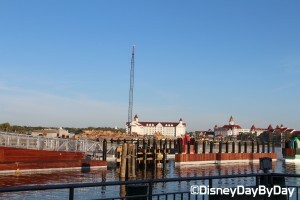 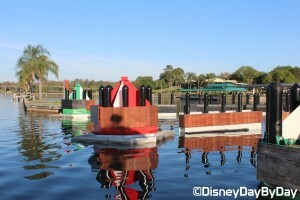 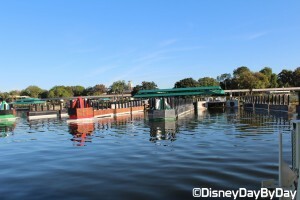 New Ferry Dock at the TTC with Poly in the background. 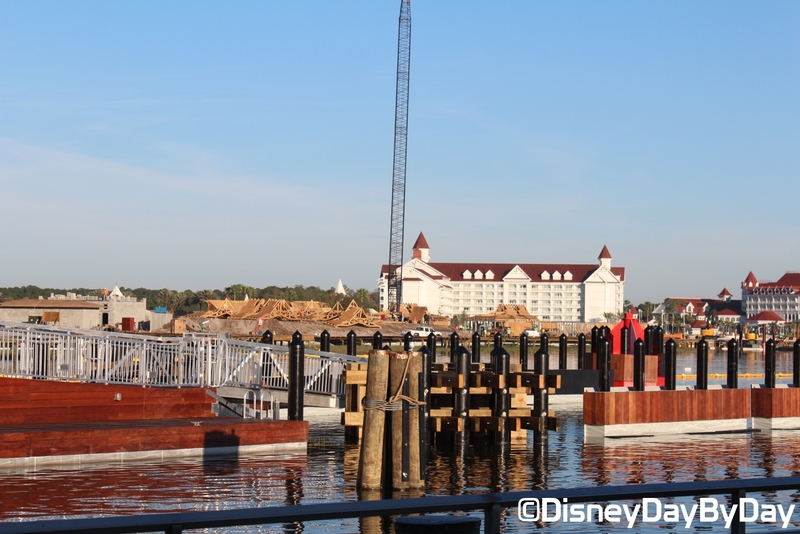 Dock for the bungalows in place, construction on them yet to begin at this end. 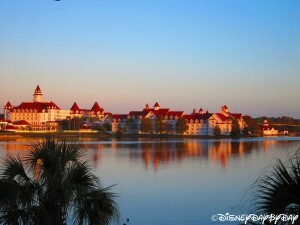 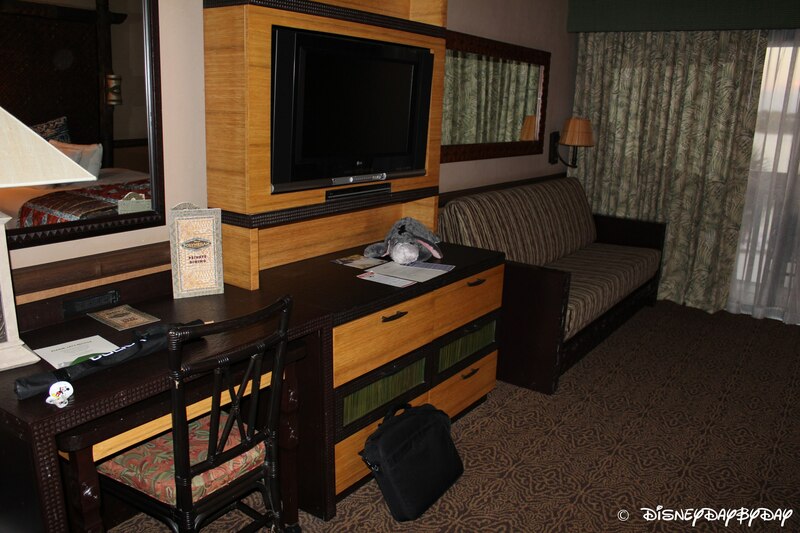 On Thursday we check into the Grand Floridian to celebrate our 15 year Wedding Anniversary. 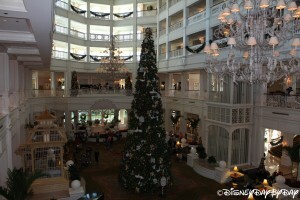 So this week I thought I would offer up a couple interesting facts about the resort. 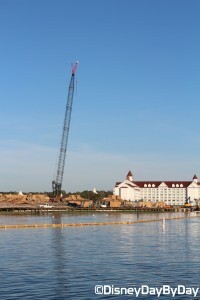 The resort opened in June of 1988 with the name of Grand Floridian Beach Resort. 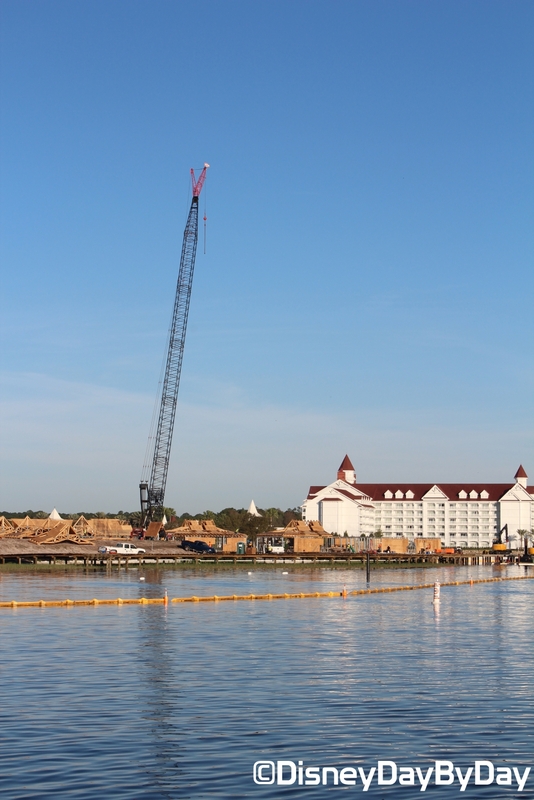 Not a huge name change, but in the fall of 1997 the name was changed to Disney’s Grand Floridian Resort & Spa. 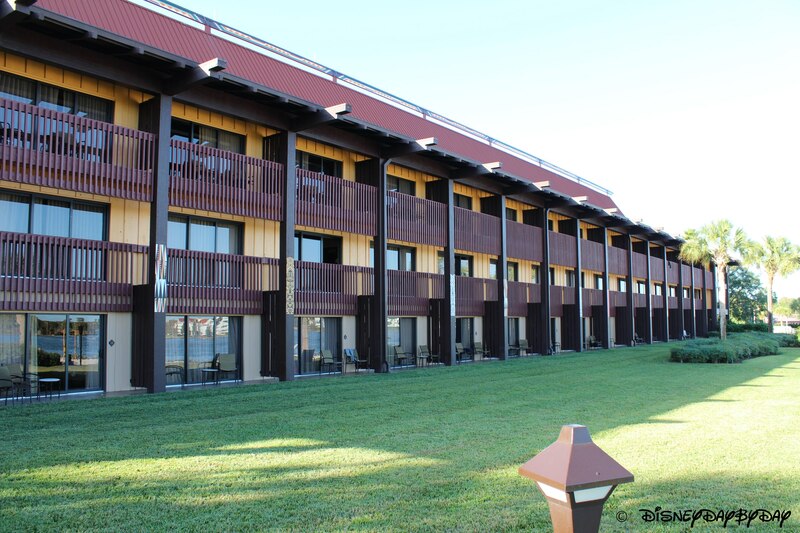 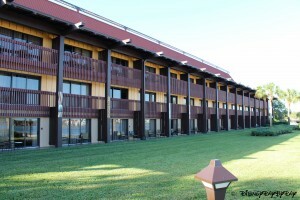 The resort features 867 rooms. The Grand Floridian was modeled after many of the beach resorts built along Florida’s coast during the 19th and 20th century. 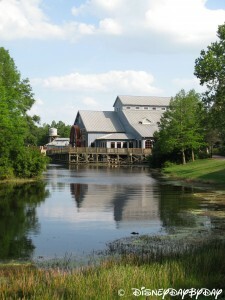 The resort stands today on land that was meant to be Disney’s Asian Resort. 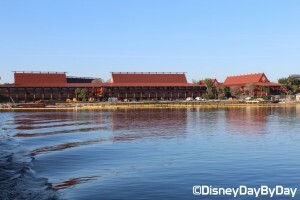 The Asian Resort was planned during the 1960’s and was expected to open in 1974, it even appeared in advertising before the property opened in 1971. 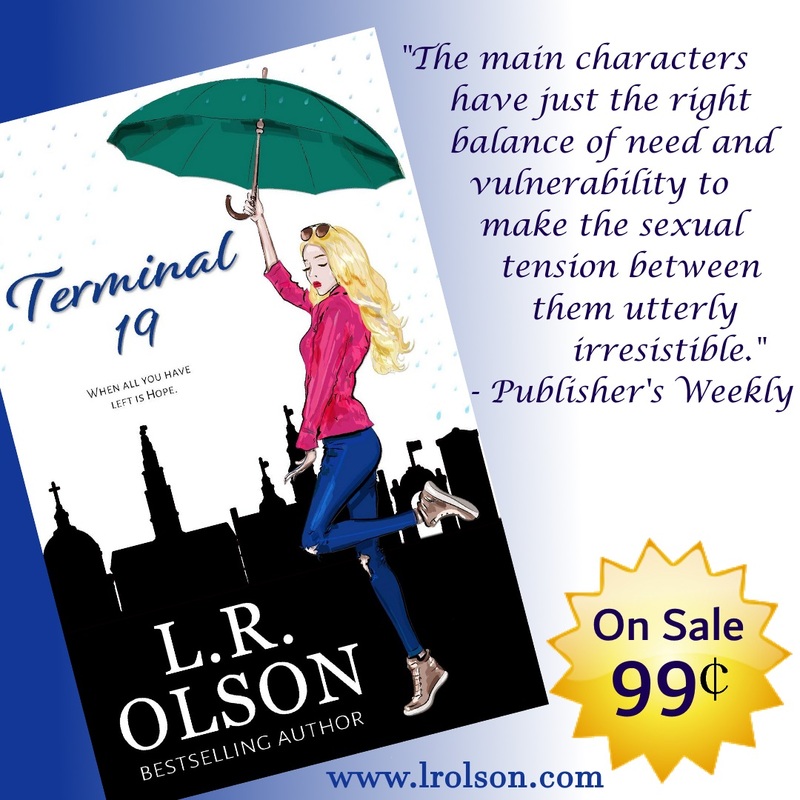 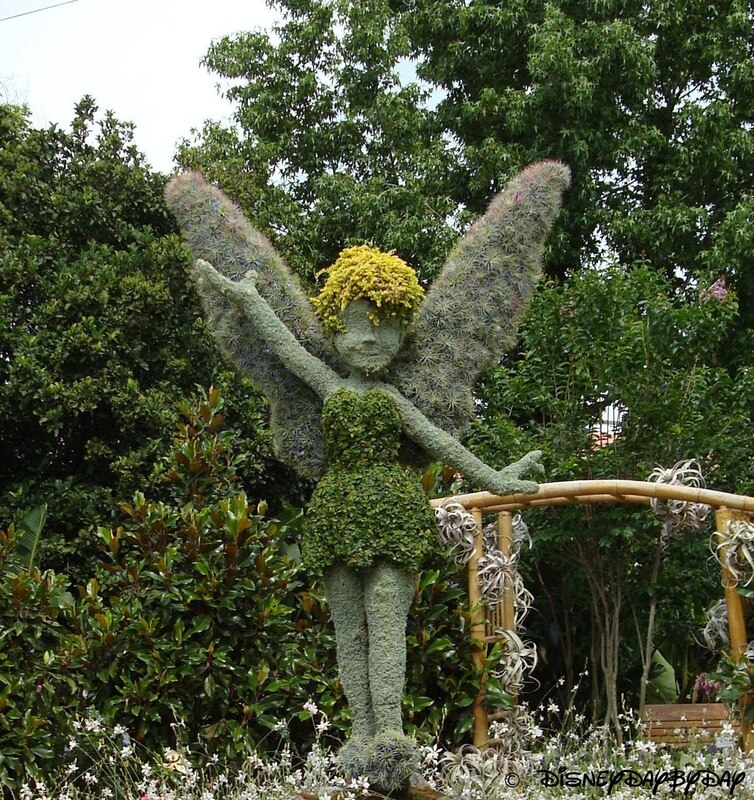 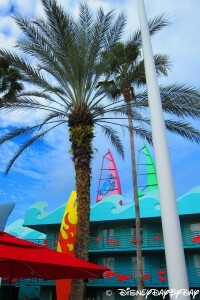 Ever travel down Floridian Way? 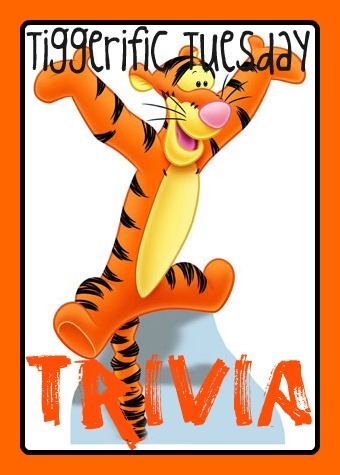 Well you are actually traveling down a road that was originally called Asian Way. 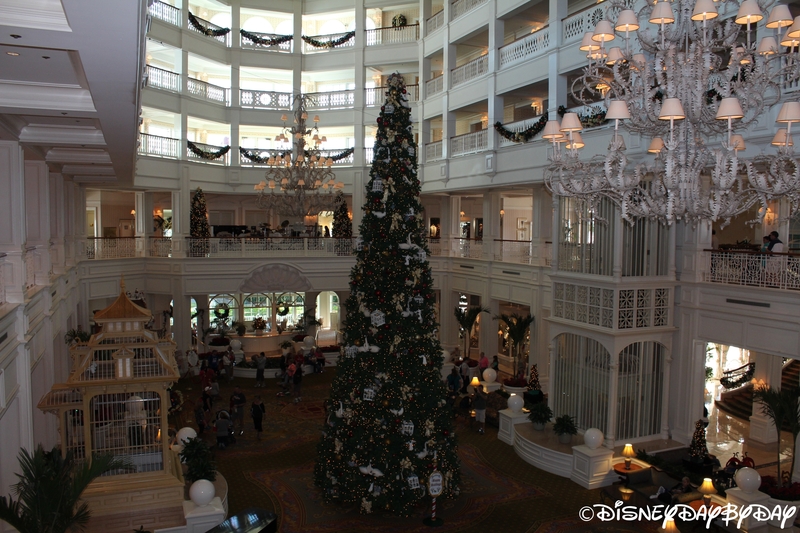 As you walk into the 5 story lobby and see the grand beauty of this resort, pick your jaw up off the floor, then take a look at the two chandeliers. How tall do you think these are? 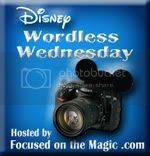 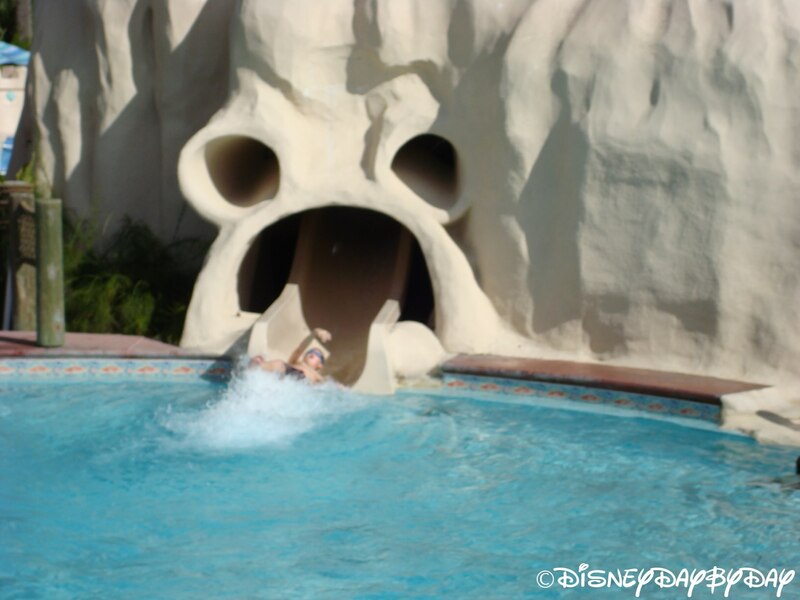 Today’s Hidden Mickey Monday is from the Old Key West Resort Slide. 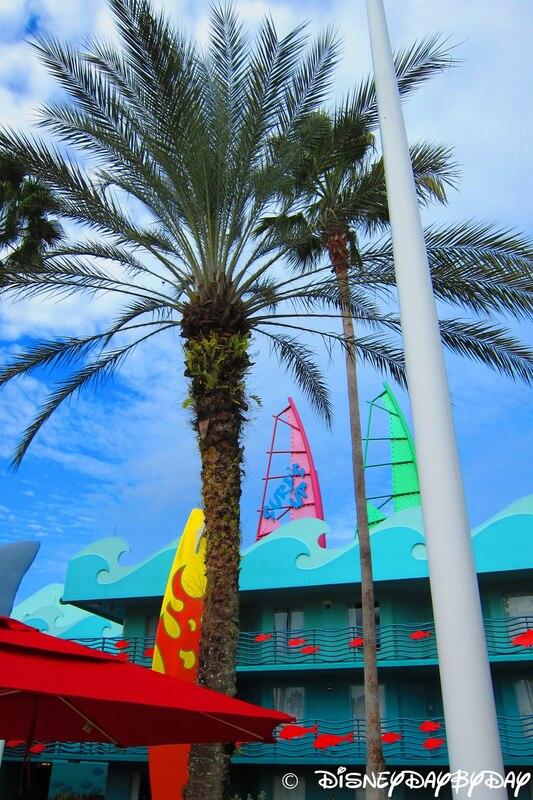 Old Key West was originally called Disney’s Vacation Club Resort and was the first Disney Vacation Club Timeshare Resort. 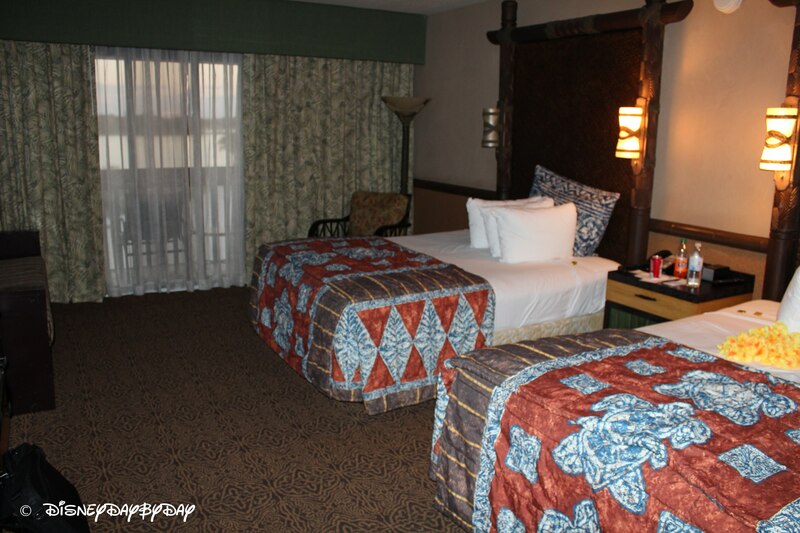 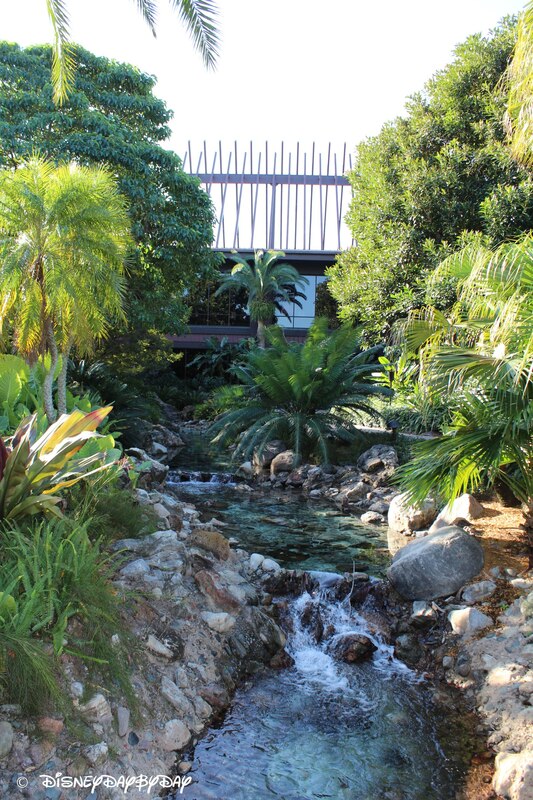 The resort is styled after a Key West theme and rooms are the largest of any of the Timeshare resorts. The pool itself is over 149,000 gallons and is made to look like a large sand castle. 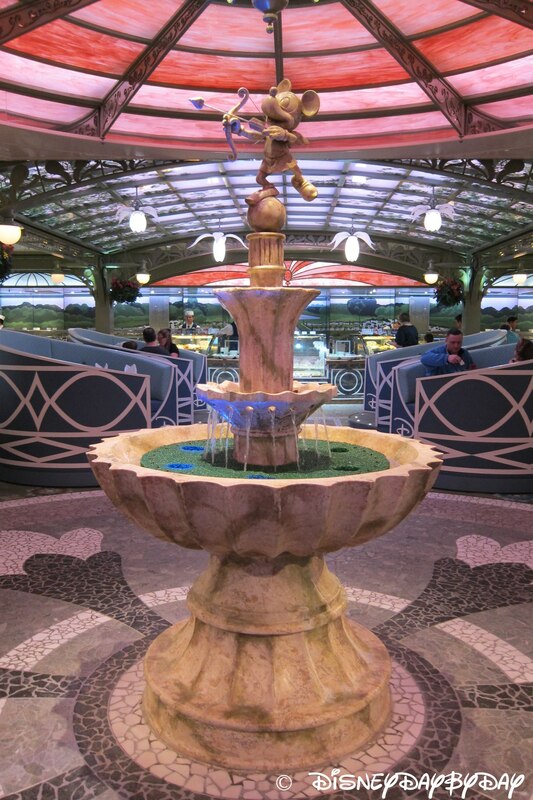 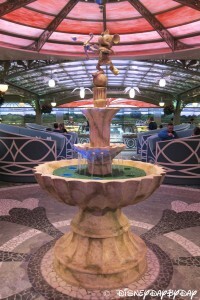 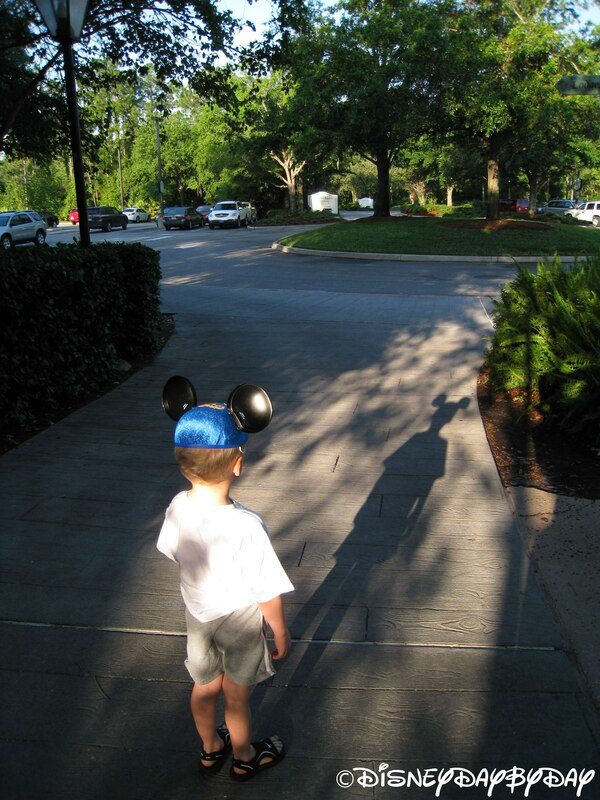 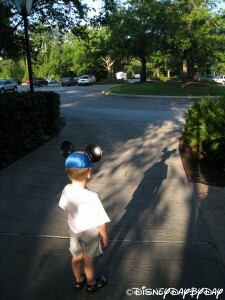 Enjoy sliding through Mickey’s head :).